Chinese Silver traveling to America and Europe. Some of the most beautiful and highly collectible Silver that can be found today, was once considered mere ballast in the holds of clipper ships plying the trade routes between China, Europe and America. Most of them were loaded up from ports in Shanghai and Tientsin. 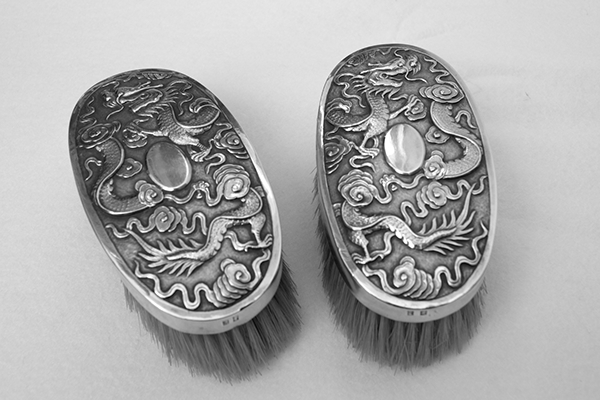 This Silver is today known generically as "Chinese Export Silver". 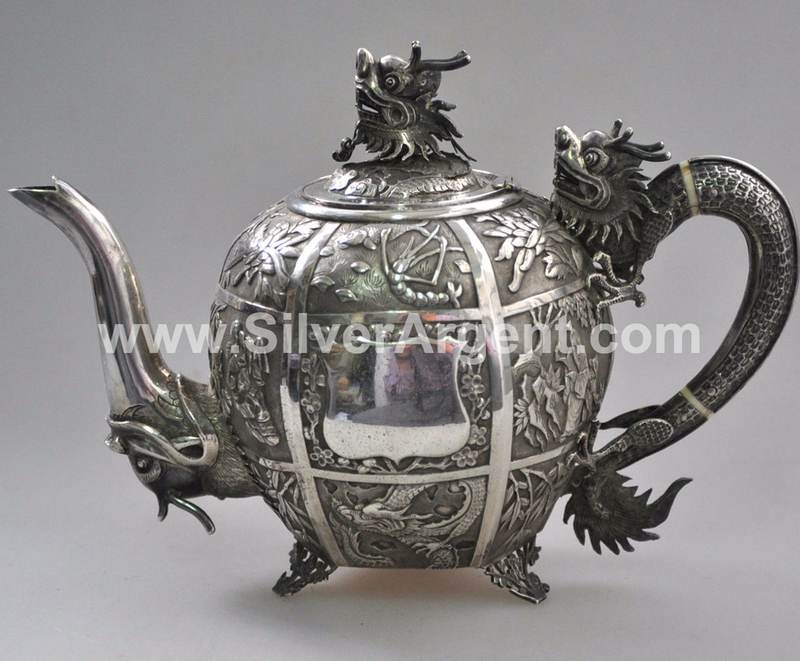 Just as Chinese makers produced porcelain or even Chinese Cloisonne for a Western consumer since the 17th century, silver makers were also employed by Westerners to create objects in this precious metal. The confluence often produced unique objects that often blend European forms with Chinese decoration. 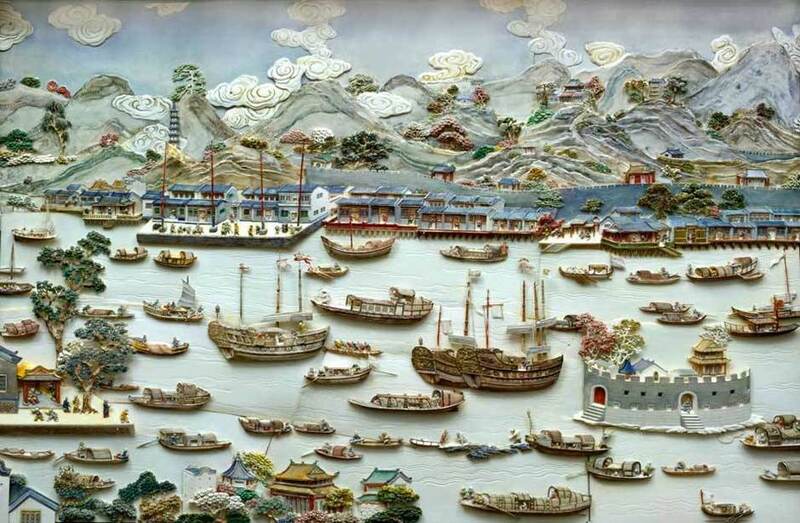 At the end of the 16th century, regular trade with the West had indeed been going on since the time of the Roman Empire when China was known as Seres - the land of Silk. 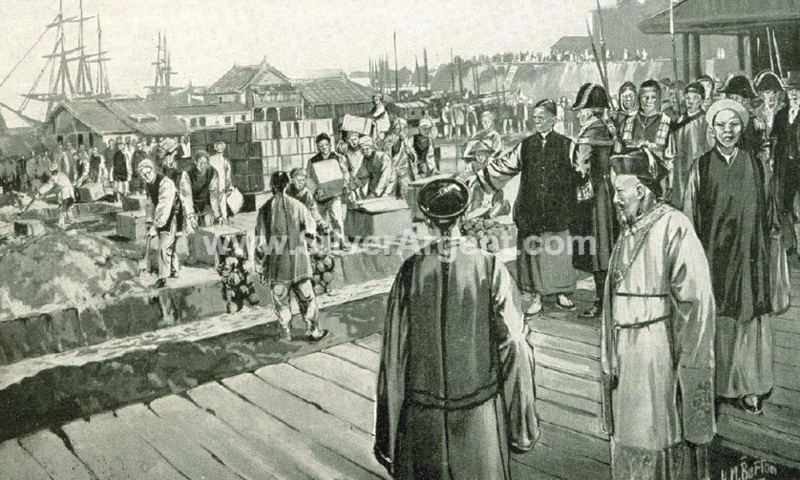 The Portuguese had established the first "modern" trading station in China as early as 1514. In the 18th century western artists started to make up decorative items and whole interiors in a mock Chinese or Japanese style. These Western "Chinese" designs were most fashionable at the time. They became an important element of the arts and styles of the mid 18th century. From the late 18th century to the first quarter of the 19th, as the export trade increased, so did the demand from Europe for familiar, utilitarian forms. 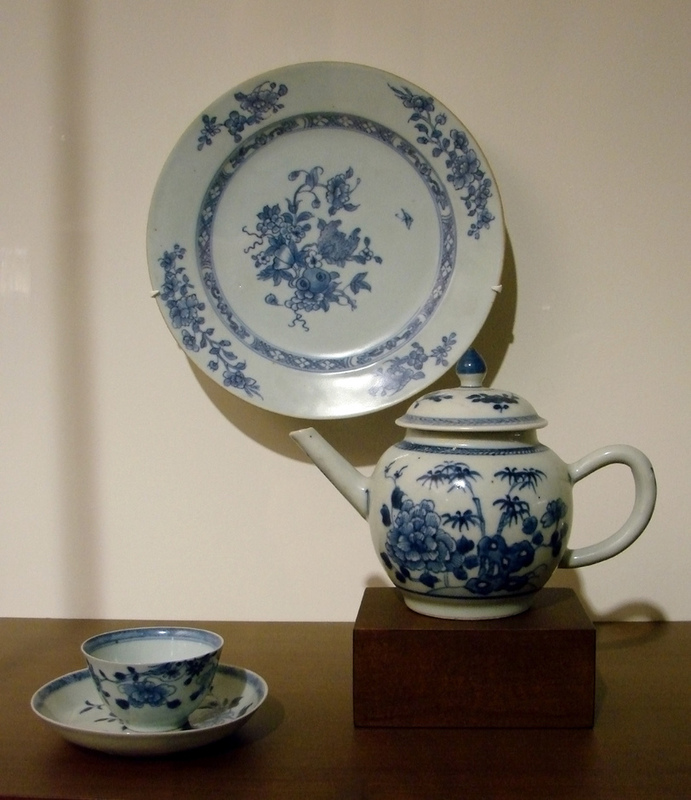 European forms such as mugs, ewers, tazza, and candlesticks were unknown in China so models were sent to the Chinese silversmith to be copied. From the second quarter of the 19th century onward, Chinese forms and decoration became popular. 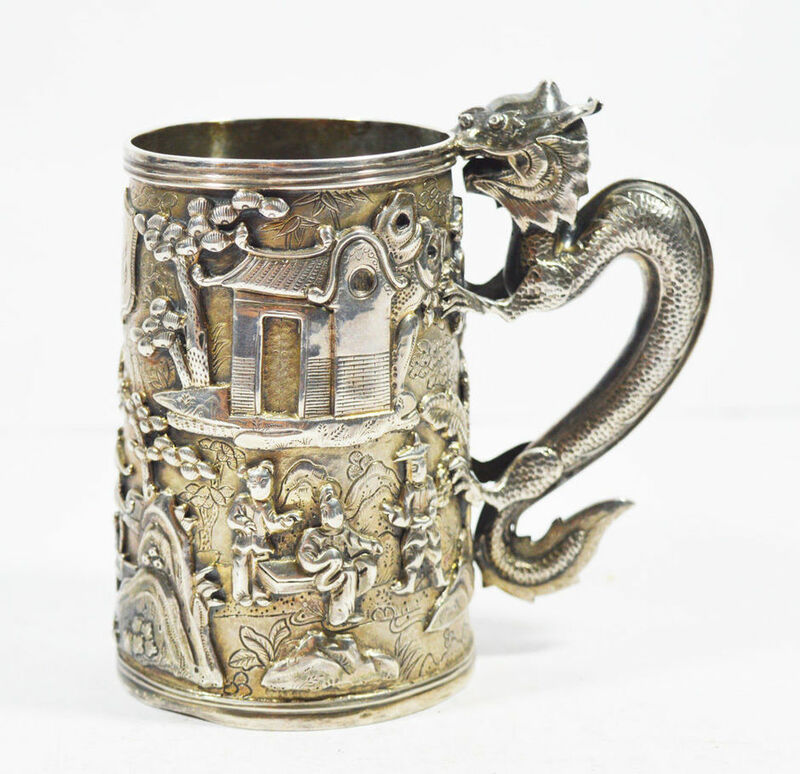 In late 19th century, Chinese Silversmith managed to add to Chinese motifs objects such as the dragon and phoenix and scenes of life at the Chinese court. The result is that there was a charming fusion between the East and West. Blending Western forms with Asian decoration including dragons, bamboo, and Chinese landscapes, these fascinating pieces reflect the long-standing cultural and commercial exchange between East and West, and are as enchanting today as in the past.